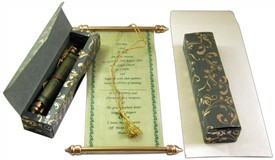 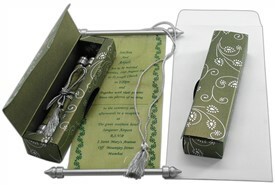 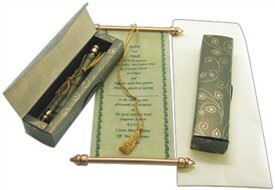 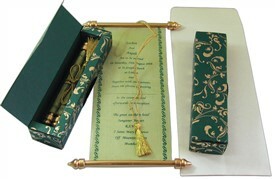 S411, Green Color, Scroll Invitations, Jewish Invitations, Small Size Scrolls. Small and Cute! 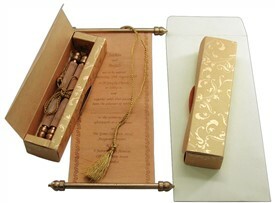 – This creation is for small budgeted and it serves as an Invitation for all occasions. 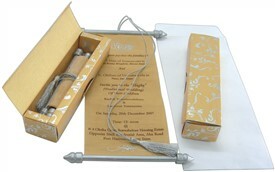 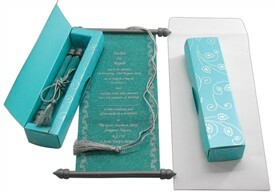 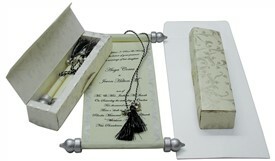 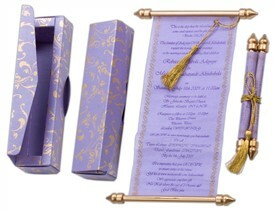 The box is beautiful with silver printed design all over the front. 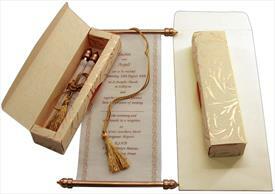 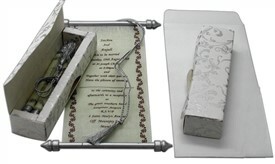 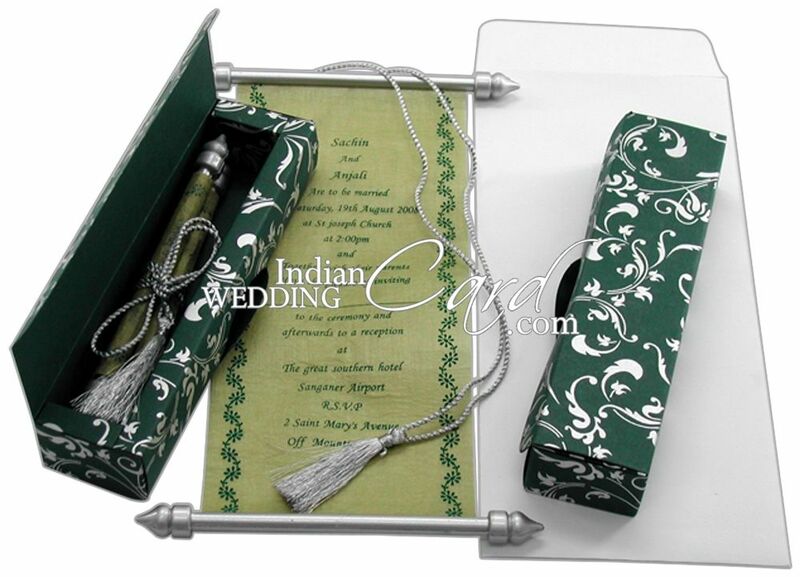 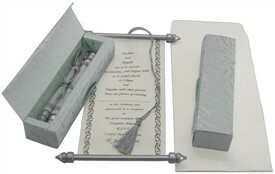 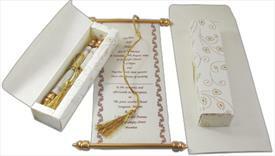 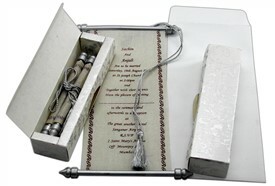 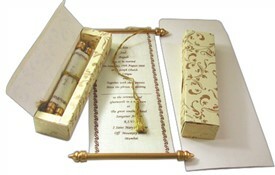 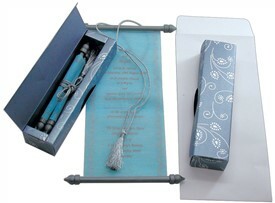 The Silver bars are glued with the scroll in an interlocking fashion. 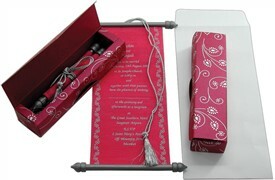 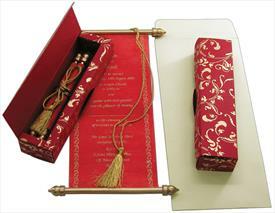 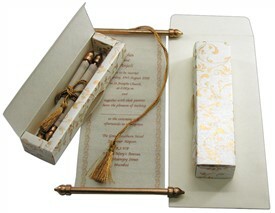 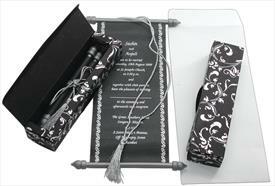 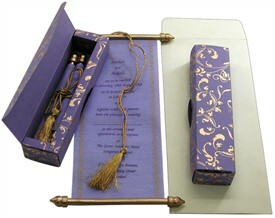 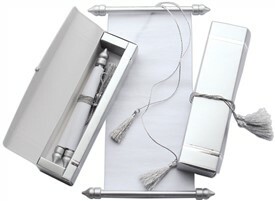 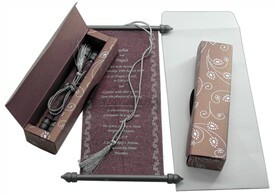 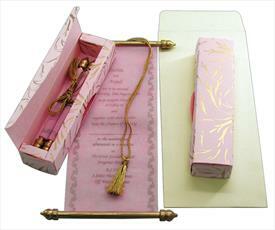 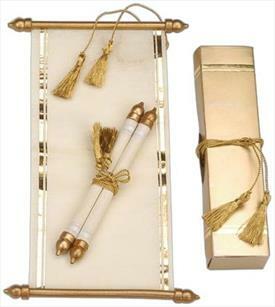 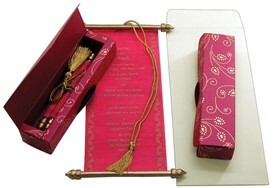 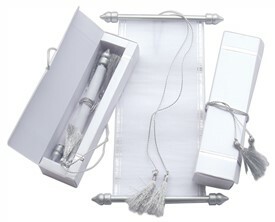 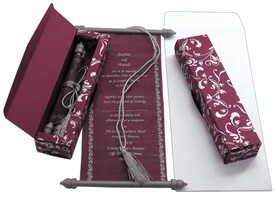 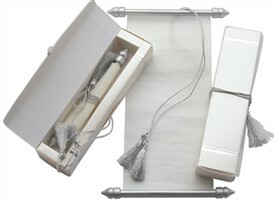 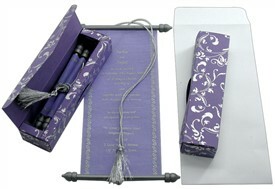 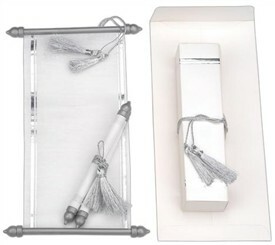 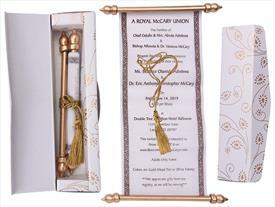 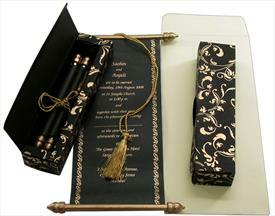 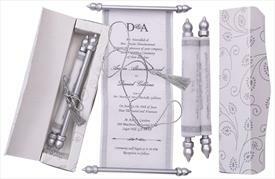 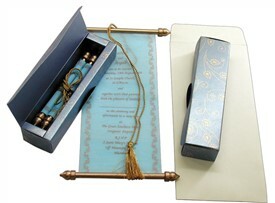 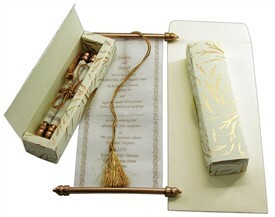 The rolled scroll is tied tied with silver tassel. 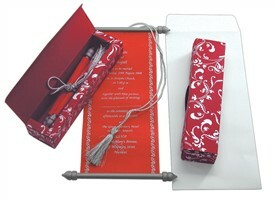 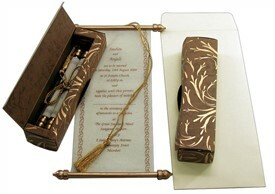 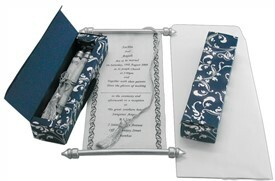 Everything goes inside a mailing envelope, which can fit, any add-on card as rsvp card etc.